Indie Winemakers Sale -$36 plus free shipping fees. 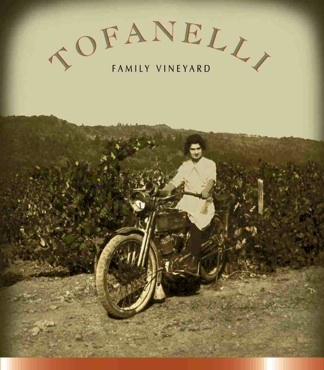 This week, Indie Winemakers is offering hand-crafted, ultra premium artisan wines produced by Tofanelli Family Vineyards. Both the Zinfandel and Charbono are from the same old vine (planted in 1929) vineyard managed by the Tofanelli’s for 3 generations. Pick one or try both! Indie Winemakers has obtained a very small allocation for this featured wine. We hope you enjoy it as much as we did. Sight: This wine is dark ruby in color. Huge teardrops with no color variation. Aromatics: Dark fruit aromas with blackberries, slightly mineral and a slight tobacco, and leather aroma. Palate: Very smooth soft mouthfeel, big body and mostly balanced. A bit of tannins were noted in the finish suggesting another year will round out the wine. Will gain complexity and harmony in a few months. Sight: This wine is dark ruby in color. Huge teardrops with a slight color variation. Aromatics: Ripe fruits with cherry jam and licorice, slight pepper and herb aromas. Palate: Very smooth soft mouthfeel, medium body with ripe fruit richness; balanced. A great Zinfandel for those who like their Zins on the big side. We suggest you pair the 2006 Napa Valley Zinfandel and Charbono with Vegetarian or Meat Chili.